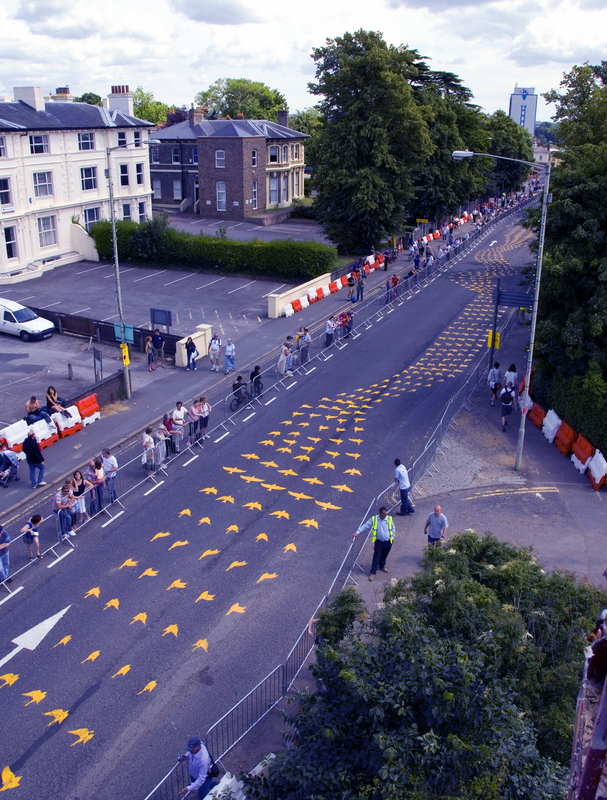 Traversing the four lanes of Elwick Road, Roadsworth portrayed ‘nature’s peloton’. The peloton is a ‘pack’ of cyclists. The dynamics of a peloton is driven by the need to conserve energy by following tightly behind the leading cyclist to minimise air resistance. 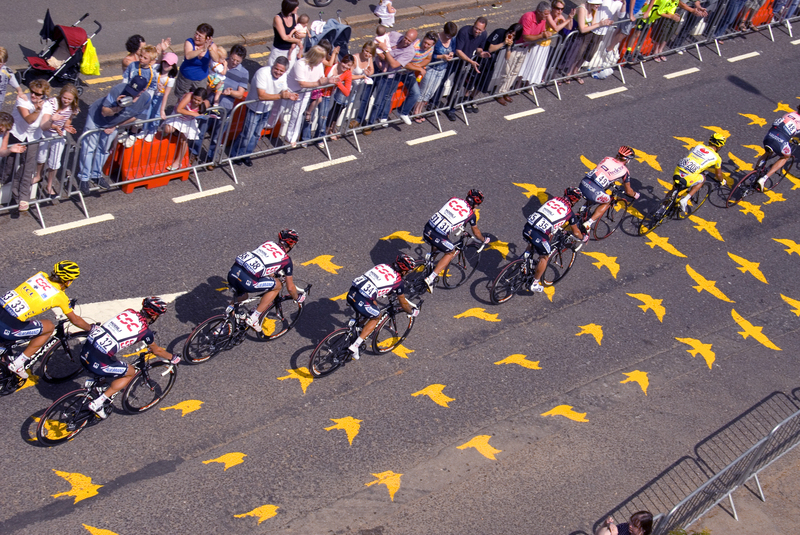 This form of cooperation by cyclists, as they manoeuvre within a pack, parallels the movement of schools of fish or flocks of birds which move synchronously, continuously alternating between vulnerable and more secure positions as a means of confusing predators.